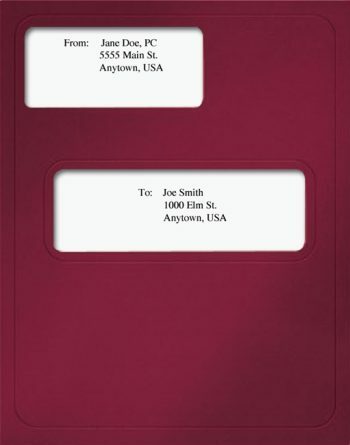 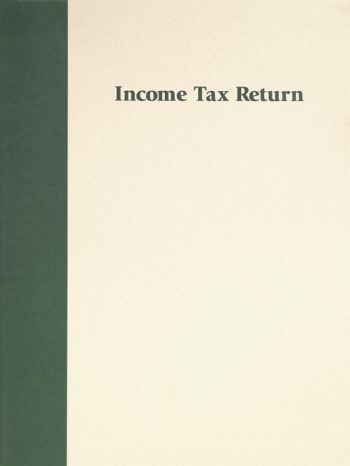 A classic tax return folder, this Client Copy tax folder keeps documents organized and professional. With room to write the tax year and client name, this folder also has important information for clients printed on the front. 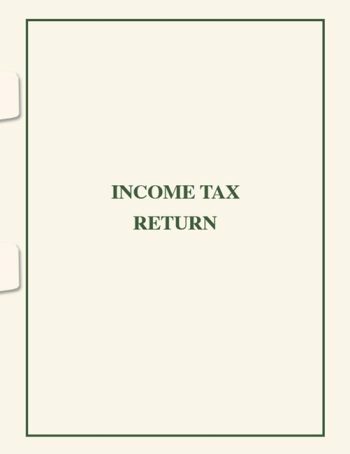 Its side-staple tabs are great for securing tax returns to keep them organized for years to come. 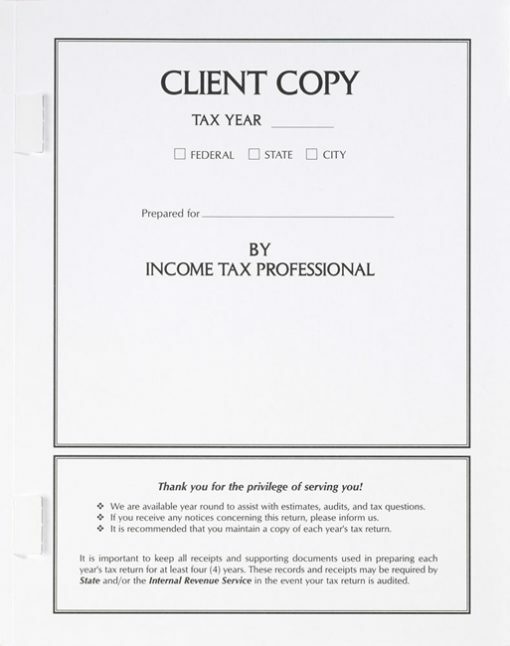 Classic Client Copy, Side-Staple Tax Folders are Simple and Affordable!